 As part of our Wedding Expert Series, we ask our Saz’s Catering team to share their insight and provide helpful tips to ensure your wedding is a complete success without the stress of wondering if you’ve covered every angle. In this edition, we talk about planning for the unexpected with Events Manager and Operations Specialist, Bryan Neuschaefer. Months spent planning your wedding and you’re probably still wondering if you’ve covered all your bases. Perfect venue, check. Amazing photographer, yep! Great DJ, heck yeah! It’s easy to get lost in all these important details and forget about what unexpected situations might still pop up and pile on unwanted stress. In fact, you might not have even have considered certain aspects of planning that are incredibly important to be aware of before your big day. 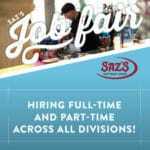 If you’ve got a few minutes, let me share some of the most common I’ve seen as an Operations Specialist with Saz’s Catering. 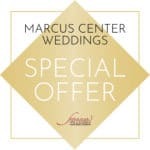 Every couple we work with has at least some idea of what they want their wedding to look like. For some, it’s a general sense of how they want their wedding to play out and for others, everything down to the look and feel has already been locked down. If you’re open to letting the planners and coordinators offer their help and insight to shape your vision, that’s awesome. But if you’re set on many aspects of your wedding, be sure you communicate that as clearly as you can from the very beginning. Have a photo inspiration board ready and be as descriptive as possible. If it’s “classic” or “modern”, be sure you convey what that means to you so that there is no confusion down the road. So you’ve got a budget in mind and you’re going to do your best to stick to it – Fantastic! And obviously, super important! But more often than not, couples ultimately go over their budgets due to unexpected circumstances, like last minute changes, inclement weather and so on. I strongly suggest giving yourself at least a 5% buffer at the very beginning to account for situations like these. Be sure every vendor you work with is as clear as possible about costs you may incur at the end of your big day. We pride ourselves on being as upfront as possible with pricing and fees. A lot of these important details are laid out clear as day in our contracts, even. We know how frustrating unanticipated costs can be for a client and we want to keep things as stress-free as we possibly can. You probably already know if you’re further along in your planning that everyone has an opinion when it comes to planning your wedding. But don’t forget; this is your day, the big moment you’ve been waiting so long for. You might hear from friends who have been recently married who suggest not to do something or avoid something else just because it was problematic for them, but don’t assume this will be the case for you. Everybody is different, locations are unique and you’re probably working with your own unique set of vendors. If you have your heart set on something, run it by the professional planning team you’ve hired. Trust that they can provide honest advice. We’re all for going as elaborate as you’d like with your menu to impress your guests and complement your theme, and we have many years of experience making it happen! Let’s be honest, you can’t bet on the weather, especially when planning an event so long in advance. Your outdoor ceremony or reception might get a visit from Mother Nature and you want to be prepared for it. No one wants rain on their wedding day, but it doesn’t have to ruin the occasion. Some say it’s even lucky! But, do yourself a favor and have a close back up. Does your venue have an indoor or covered space close by that will make for a great alternative? Maybe you’d like to play it safe and coordinate a few tent rentals, giving your guests the option to stay dry if inclement weather does rear its head. We can help with that! Consider having a few golf umbrellas on hand for you and your bridal party. It might make for a pretty awesome photo shoot! I really can’t stress enough how important it is to have everything in writing from every single vendor you work with, no matter what service they are providing. It doesn’t matter if it’s someone you know personally or a large-scale venue. Even if the details with your favorite local flower shop were decided over the phone, have them send over an email confirming what was discussed and the pricing that was agreed upon. You’d be surprised at how many businesses can be so lax at keeping track of important details and special requests. Be sure and organize all of your documents and files in one place, whether it’s in the cloud or you print hard copies. Heck, make copies and give them to a close friend or family member as a backup. I’d also recommend creating a vendor contact list. Have every single contact name, email and phone number on one page for easy access, then provide a copy for each of them. Planning for the unexpected almost seems kind of crazy when you think about it. Like, how do you plan for something you don’t know will even happen? Surprisingly, to us in the industry, these things aren’t all that unexpected to us and it’s always top of mind when we work with clients to help plan their big day. When you work with reputable vendors with plenty of experience handling these types of situations, it doesn’t have to be as stressful as you’d think. Hopefully, these tips give you a bit more insight on the importance of transparency, organization, and having solid Plan B.
previous post: Elevate Your Holiday Party Planning with Saz’s Seasonal Holiday Menu! next post: Five Ways to Celebrate St. Patrick’s Day Milwaukee Style!